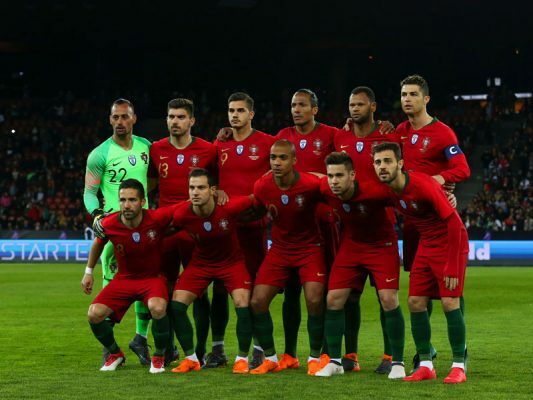 Portugal has been drawn in Group B, which contains their European rivals Spain, along with North African side Morocco and Iran. Portugal will kick off their campaign against their rivals Spain on the 15th of June which will likely be an exciting game to watch. Result from that game may probably decide who wins the group, thereafter Portugal will take on Morocco 20th of June and Iran on the 25th of June. Ac Milan starAndre Silva announced himself in style, scoring nine goals and forming a lethal partnership with Ronaldo. Former Real Madrid defender Pepe remains the bedrock of Portugal’s defence, ageing Ricardo Quaresma and Joao Moutinho continue to make key contributions. Russia will be the final chance of World Cup glory the three. Injury-prone Raphael Guerreiro, who was sidelined in much of the qualifying campaign, has established himself to be a clone of his predecessor at left-back Fabio Coentrao: brilliant whenever he plays. GOALKEEPERS: Rui Patricio (Sporting Lisbon), Anthony Lopes (Lyon), Beto (Goztepe). MIDFIELDERS: William Carvalho , Bruno Fernandes (both Sporting Lisbon, Adrien Silva (Leicester), , Joao Mario (West Ham), Joao Moutinho ( Monaco), Manuel Fernandes (Lokomotiv Moscow). FORWARDS: Cristiano Ronaldo (R.Madrid), Ricardo Quaresma (Besiktas), Andre Silva (AC Milan), Bernardo Silva (Man City), Gelson Martins (Sporting Lisbon), Goncalo Guedes (Valencia).